Lake Minnetonka mortgage lenders are anxiously awaiting revisions to the “Know Before You Owe” mortgage disclosure rules. The Consumer Financial Protection Bureau (CFPB) – acting on a promise made this past April – recently released updates to the rules in response to the mortgage industry’s requests for better clarity on the regulations. However, there are still nagging concerns regarding the secondary market, and those concerns will inevitably affect mortgage lenders’ ability to make loans that may not qualify for sale. 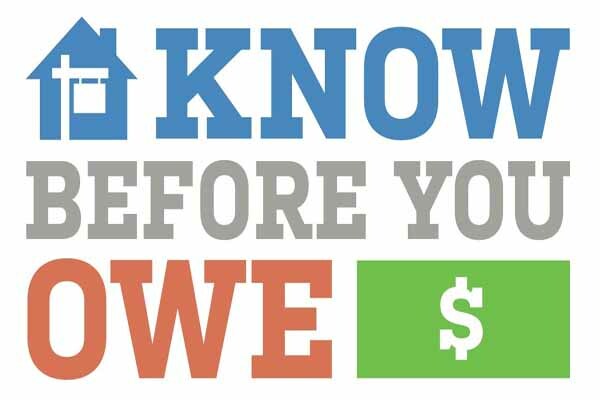 Here’s a closer look at Know Before You Owe and what it means to the Lake Minnetonka mortgage market. Lake Minnetonka Mortgage Lenders See Challenges Ahead? The Know Before You Owe mortgage disclosure rule (also called the TILA-RESPA Integrated Disclosures rule) went into effect in early October 2015. Almost immediately there were serious concerns about how long it would take to close mortgage loans – causing a domino effect of problems for borrowers whose contracts called for timely closings. Tolerances for the total of payments. Prior to the enactment of the Know Before you Owe mortgage disclosure rule, the total of payments calculation and disclosure was arrived at by using the finance charge as part of the equation. The rule amended the total of payments calculation so that it didn’t make specific use of the finance charge. The CFPB now proposes to add tolerance provisions for the total of payments that are similar to tolerances in place for the finance charge and all disclosures affected by the finance charge. The result? The change makes the treatment and disclosure of the total of payments consistent with how it was shown before the Know Before You Owe mortgage disclosure rule was enacted. Housing assistance lending. The initial rule allowed a partial exemption from the disclosure requirements to some housing assistance loans that were originated primarily by housing finance agencies. The CFPB issued an update that would promote housing assistance lending by stating that certain recording fees and transfer taxes can be charged as a result of transactions while ensuring the partial exemption eligibility would still be in place. The result? More housing assistance loans will likely qualify for the partial exemption. That, in turn, will probably encourage mortgage lenders to work more closely with housing finance agencies to fund these type loans. Cooperatives. The CFPB proposes to have the rule’s coverage include all cooperative (co-op) units. In a cooperative, the purchaser becomes a shareholder in the corporation that owns the property. The buyer, by virtue of being a shareholder, is allowed exclusive use of a housing unit in that property. As it stands now, the disclosure rule covers only those transactions secured by real property. Real property is defined in individual states’ laws. As such, cooperatives are sometimes considered personal property and sometimes considered real property. The result? The CFPB plans to simplify compliance by including all cooperatives in the disclosure rule. Sharing information and privacy. The existing disclosure rule requires that creditors provide mortgage disclosures to the consumer. The CFPB has come under criticism and has received numerous questions regarding sharing the consumer disclosures with third parties to the transaction – including real estate brokers and sellers. The CFPB has decided it’s appropriate for creditors and others involved in the transaction to receive the closing disclosure. The result? The CFPB is working on a separate disclosure form to the consumer and the seller to rectify what has been deemed a problem. In addition, the National Association of Federal Credit Unions (NAFCU), while appreciative of the DFPB revisiting the disclosure rule, remains concerned that the changes may not be as far reaching as they need to be. The NAFCU feels the CFPB hasn’t fully addressed the many compliance issues expressed by credit unions. The CFPB has encouraged a wide range of input from its stakeholders – including Lake Minnetonka mortgage lenders – and has invited public input on their proposal. Comments and information submissions are due in mid-October and will be thoroughly considered prior to final regulations issued. What this may ultimately mean to the mortgage lending industry is this. In the absence of greater clarification on issues that are pertinent to the entities to which lenders sell their mortgage originations on the secondary market, some lenders will either choose to limit the number of loans they sell, or restrict their lending activity to only those loans that are easily marketable. Examples would be loans with lower LTV ratios or loans made to borrowers with excellent credit scores and high net worths. However, most Lake Minnetonka mortgage lenders remain confident the changes the CFPB will be sufficient enough to solve the nagging questions that currently remain regarding the secondary market. If that is indeed the case, the mortgage market will likely not be adversely affected. You can find more articles pertaining to Lake Minnetonka mortgage lenders and the mortgage market in the Lake Minnetonka Mortgage Info section of our site below Lake Minnetonka Real Estate Categories in the column to your right. We also post tips daily tips, many of them related to the Lake Minnetonka mortgage market, on Facebook and Twitter and would love for you to follow us there as well.